Third in our series on Frankenstein related holdings from Peter Balestrieri. Mary Shelley’s Frankenstein was published in 1818 by the firm of Lackington, Hughes, Harding, Mavor, & Jones. The deal worked by Percy Shelley called for printing five hundred copies, a short run even by the standards of the day. What kind of firm was Lackington’s? 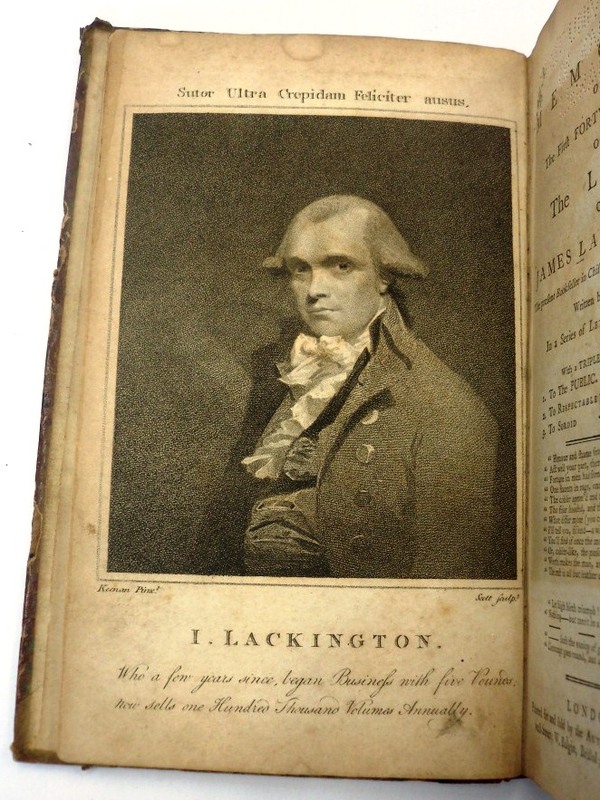 James Lackington was a bookseller and publisher who began a career in shoemaking but switched to bookselling to satisfy his bibliophilia and his desire to provide books to people of all economic backgrounds. This desire came out of a deeply religious nature combined with a firm belief that all lives are improved by the reading and study of books. The story is told that he once spent his last coins on a book of poetry rather than food because the former would “feed” himself and his wife longer than the latter. His famous bookstore, named “The Temple of the Muses,” was an immense building in London, so large that a coach drawn by four horses was driven round the counters at its opening. 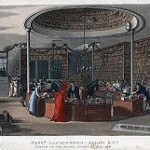 Its catalogue, in 1803, featured 800,000 titles. 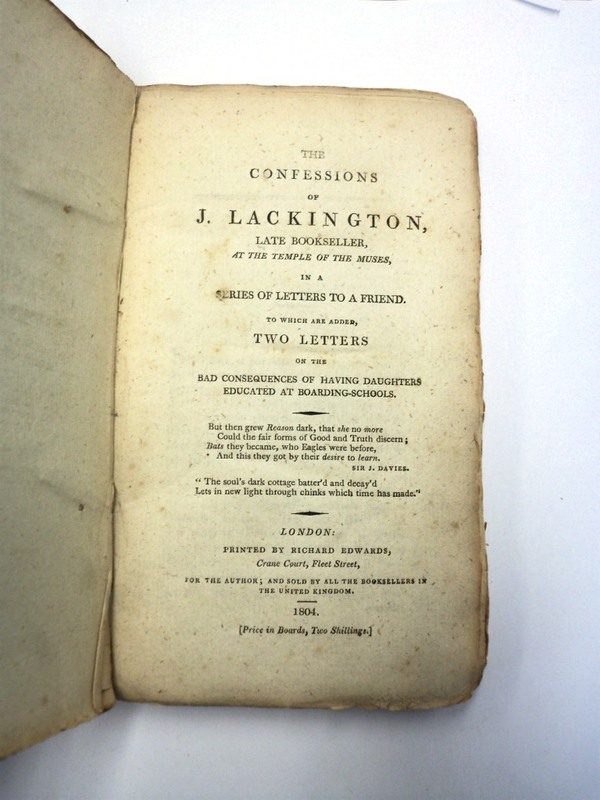 Lackington was an innovator, who rankled his competitors with his revolutionary ideas. He invented remaindering, buying up unsold books from other dealers and selling them cheaply. 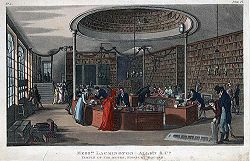 He also accepted cash only, without exceptions, published authors’ manuscripts, and bought whole libraries. While making him extremely successful, these practices placed him outside the norm of traditional publishers. 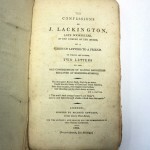 In reading biographies of Mary Shelley and books on Frankenstein, I’ve come across disparaging remarks aimed at Lackington’s.I believe these originate from accounts of the day by rivals who sought to harm Lackington’s reputation out of jealousy. 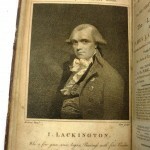 Histories of English publishing by Feather and Mumby set the record straight and give Lackington his due as one of the most remarkable of booksellers and publishers. Want to Make Historic Recipes?